Jetbull.com has been a licenced and respected bookmaker in the UK since 2007. Fully licenced by the UK and Malta regulating bodies (in line with the new gambling laws), they provide award-winning virtual sports and sportsbook. The sportsbook is characterised by its ease of use, huge promos and bonuses, and efficient customer service. Jetbull’s site has a sleek black design, a wide display, and large fonts. Considering that the site is also very responsive and mobile friendly, it is ideally suited for new users. Its well-structured format provides an excellent betting and browsing experience. Apart from the superb website, this Jetbull overview has outlined other vital features of this bookmaker. Jetbull is an online sportsbook that was established in the year 2007. Its headquarters is in Malta, and they have acquired full licencing under the respectable UK Gambling Commission. In recent years, its sports betting services have won two prestigious awards; the Sports Betting, and Rising Star in the EGR Awards of 2010 and 2011 respectively. After its opening in the year 2007, the bookmaker re-launched its site in 2010, widening its services, and re-establishing its sportsbook offerings. Jetbull is technically favourable for recreational players, and it is one of the best bookmakers where gamblers can test their betting skills as they have fun. The Jetbull website can also be viewed in English, Spanish, German, Swedish, Russian, and Turkish. This is a wonderful mix which has helped to attract customers from many countries in Europe. This Jetbull sportsbook review reveals many positive features that make it a recommended bookmaker. The site is well-organised and has a wide range of sporting events covered. Other mainstream sports like e-sports, table tennis, and Gaelic games are also available. Although Jetbull is not among the live streaming bookmakers in the UK, it has a good range of in-play and live betting options. Jetbull is safe for its users considering the safety provisions that the bookmarker has put in place. Jetbull uses modern and cutting-edge encryption methods which keep its customers’ activities safe. The payment methods available are also trusted by industry leaders, which add another layer of security. There are two ways through which the punters can contact the customer service at Jetbull. One can either use the live chat function to submit their query or use the official email. A distinct live chat tab can be found on all pages of the site, making the customer service very simple. An official email address is provided on the site. All email inquiries that cannot be answered immediately are resolved within 24 hours. They also have a backup of a simple and highly detailed FAQs section on their site. Jetbull has top betting bonuses for welcoming new punters to their website. The welcome bonus matches 50% of your deposit up to £75, or its equivalent in your local currency. To receive this bonus, you should deposit a minimum of £10. The amount required to get the £75 is £150. There are other sports betting bonuses that Jetbull offers. One of the most exciting promos is the £20 free bet for punters who place their first bet using the mobile app. Customers can place the stakes on the mobile site or the app. For every ten bets on the mobile site, a customer receives a £20 free bet. The Jetbull site provides its punters with many markets and betting odds. 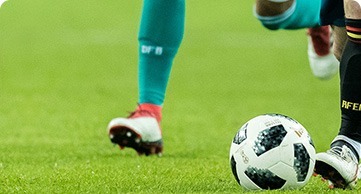 Although the site focuses on football and tennis, players can also place bets on rugby, cricket, Australian Rules football, American sports, and other mainstream sports. All the Jetbull live betting odds do not differ significantly from the odds at other bookies. There are many sports available, with a variety of markets for those sports. The odds are characteristic of what you would get in any other bookmaker, who caters for recreational rather than high-stakes and professional players. All the Jetbull betting odds are displayed in the European odds format, which is sometimes confusing to British punters. However, there is an advantage of using this format, especially for the punters who are new to the world of betting. The decimal format offers an easy way to calculate possible winnings. Every punter wants to bet with the best live betting bookmaker. This is why Jetbull has a wide range of live and in-play betting options. Jetbull offers live markets for a variety of sports including football, tennis, handball, and basketball. There is also a good range of betting options on offer, with football fans being able to place bets on cards, next goals, and corners. Although many punters are yearning to see the introduction of Jetbull live streams, there is a basic live commentary option available. This gives the punters a basic idea of the game in terms of the direction of attack, match statistics, and the time. Apart from looking for the best betting odds, punters like to know the betting limits of a bookmaker. At Jetbull, the minimum and maximum betting limits vary depending on the event in which the player is placing their bet. Jetbull always reviews these limits, depending on the type of sport and the magnitude of the event. If a player tries to place a bet that exceeds the maximum threshold of an event, they receive a message that informs them of the maximum limit on their selection. Some limits are always standard; for example, the minimum limit for British punters is £0.25. Every player loves betting with live streaming bookmakers. This feature helps the punters not only to know how their bets are progressing but to enjoy some live action as they place their bets. Most bookies have this feature which usually becomes active whenever the punter has a balance in their account. Unfortunately, Jetbull has not yet introduced this feature on their website. However, this is not a deal breaker for most punters especially when the live commentary is available. Considering that the platform has very competent web developers, it is almost guaranteed that this feature will be available very soon. There is good news for the gamblers; Jetbull betting app is now available. Additionally, customers can seamlessly place bets, thanks to Jetbull’s well-designed mobile website. This mobile site is suitable on a range of mobile devices and offers the same features that can be accessed via the desktop site. Jetbull is very committed to providing the best betting services regardless of the device you are using to access their service. Jetbull did not port the website to a mobile browser; it is fully redesigned, but identifiably Jetbull. The Jetbull Android and iOS apps are one of the strongest and responsive betting apps around. The apps are similar to the mobile site and are accessible for Android, iPhones, and Windows users alike. Generally, Jetbull’s rating for mobile play is excellent. The range of payment options available at the Jetbull bookmaker is vast. However, this list is filtered by the player, depending on the country in which they reside. For UK users, deposits and withdrawals can be done using debit and credit cards, Skrill, EcoPayz, and Neteller. Instant banking, via bank transfer and Trustly, and also Fast Bank Transfer can be used. Jetbull is always keeping its tabs with bookmakers deposit methods, and more options can be expected in the future. The minimum amount that a player can deposit or withdraw in the UK is £9, while the maximum depends on the payment method used. The good thing is that all transactions are processed instantly by Jetbull. Additionally, Jetbull payment methods have one rule; players must use the same payment option for depositing and withdrawing. If you withdraw your funds, they must be sent to the same payment option that you used to deposit the funds. How would you rate Jetbull?